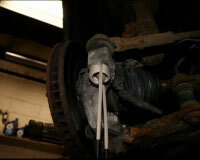 Tie rod ends are an integral part of a vehicle’s steering mechanism. 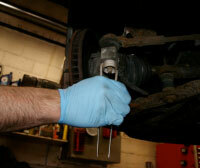 You probably know that removing rusted, corroded or locked tie rod end nuts is often a lengthy, difficult and frustrating task for auto mechanics. 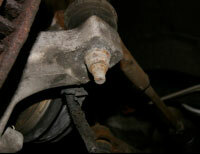 Problem tie rod end nut removal is very difficult if only using a ratchet wrench. It usually requires the application of penetrating fluid, or blasting the area with a torch – this is time consuming, can cause unwanted damage and it’s a potential risk to the operator’s safety. 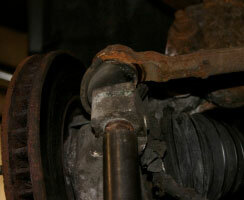 Mechanics do not need to run the risk of using a torch which could damage the CV joint, rubber grommets, or the rotor.The Mini-Ductor’s coils are thin enough to wrap round the nut and heat it in seconds for easy removal. 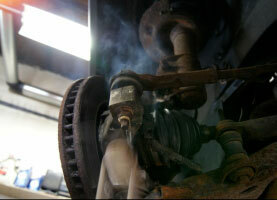 Using the coil, a 3/4″ nut is heated red hot in 15 seconds. If a torch was used, this would take several minutes. 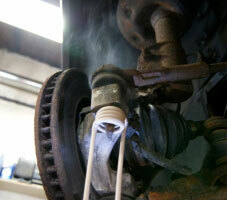 The heat expands the nut and breaking any corrosion bonds. The Mini-Ductor provides a safer, quicker and less damaging alternative to naked flame heating and a great return on investment. Apart from the increased safety benefits, the use of the Mini-Ductor can increase a garage’s fastener extraction productivity by over 50%. Insurance premiums can be reduced by approximately 20% if an oxy-acetylene system is replaced with the Mini-Ductor, saving you money and increasing your profit. If your workshop in located in a no flame zone, e.g. near an airport, this is your only option! Step 3: Fit coil to Mini-Ductor and fit back around the nut. The Mini-Ductor’s LED work light illuminates work area.